Want to reach someone’s inbox without being creepy or tossing aside all civil regard for CAN-SPAM laws? Did you know it’s not that hard to reach someone’s inbox, even if they don’t subscribe to your email list? Getting into someone’s inbox is a privilege, and that’s something you always need to be mindful of. Of course you can always manually add emails to your subscriber list, or purchase email lists from vendors, but that’s not a very ethical approach, and you’ll most likely piss people off. Instead, try using the tips below to reach people in a way that’s more trusting. Google+ gets a lot of attention lately, and for good reason. While it may not have the hip household association that Facebook has, it does have a very engaged user base and some great features that mamke it a marketers dream. One such feature is the ability to directly email people with your update. Unlike Facebook, which groups your friends into one big lump, Google+ lets you add people to “circles”. Each circle represents a segment of people – coworkers, family, publishers, etc. When you share an update, such as a new blog post, you can pick which circles to share content with. Check a little box to email them the content you shared. This option doesn’t always appear; if the group is too large for example, Google will not let you directly email all of them. 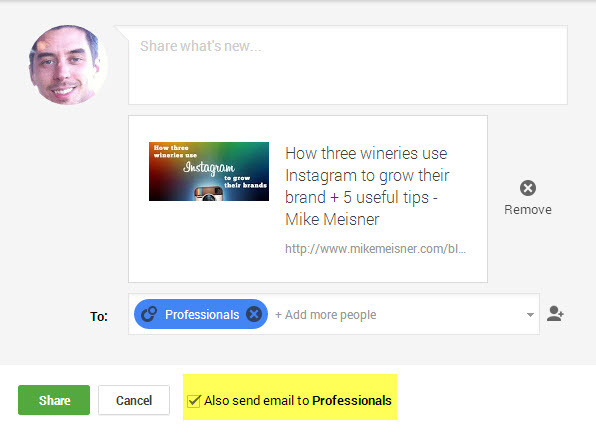 Google+ also rolled out another feature to users just recently, that’s equally effective. 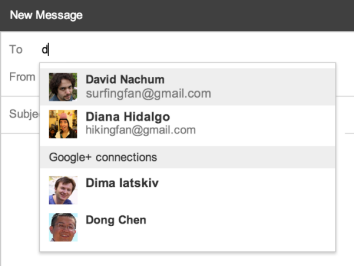 They allow anyone with a Google+ profile and Gmail account to email each other. When composing a new email, a drop down appears and offers up some suggestions from your circles. And for God’s sake, don’t be one of those jerks who clogs up my inbox with ten paleo diet recipes all at once. Use moderation and some common sense. Consider how useful what you’re sending will be to your audience, and don’t overdo it. Active Twitter users stay on top of their interactions with other users, and pay particular attention when their tweets gets favorited. When someone favorites a tweet, the poster gets a message in their inbox. And it’s kind of an exciting thing, so they’ll be more likely to check your profile and see what you’re all about. Of course your profile has some relevant hook and a link to encourage that person to visit your website, right? Although not as effective at grabbing the attention of a “favorited” tweet, when a user gets mentioned they also get a notification. Unfortunately the many automated messages people use often trigger these, so the interest factor gets diluted. Leaving blog comments provides a great way to get a direct connection with the author. 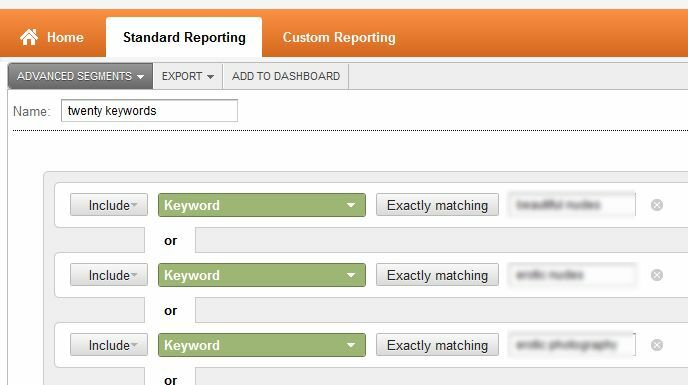 Most blog owners get notified via email when someone leaves a new comment. If you’re looking to connect with a business or an individual, it’s important to keep a few things in mind. You should be careful to avoid spamming away with thinly veiled self-promotional crap. First, you want to begin commenting in a way that lends to the conversation. It’s important to establish a level of trust and then you can capture their attention and earn respect. Use these tips to get in front of people you’re looking to connect with – publishers, customers, prospects, and so on. With a little creativity, you should be able to reach plenty of people who may not be subscribed to your email list.